This Jeep started life as a Salvage title Jeep JK and is known as the "Rock Doc". This is not just another "good looking" Jeep! 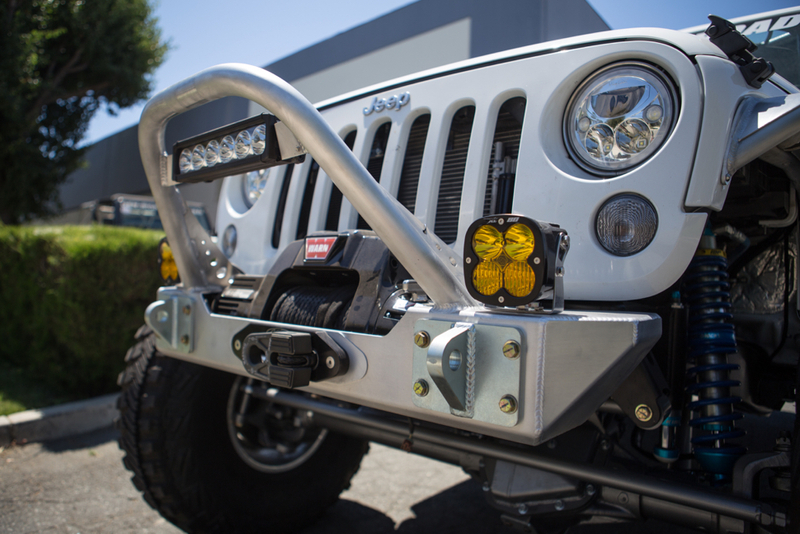 GenRight took it in and transformed it into a Jeep that will perform on and off-road! It features the GenRight Elite coil over suspension system and as you can see, sits low and handles great! Oh yeah, it has a Motec installed LS3 with a 6L80 transmission to make it scoot down the highway too! This GenRight built JK was inspired after this customer rode with Tony in the Terremoto for only one day. After blasting across the Mojave desert, up and down trails and back on the highway, Jim was convinced this was the ultimate set up! Notice the completely flay belly and low CG on this Jeep! The build got the new GenRight Ultra Clearance front bumper and a WARN 9.5 CTI-s winch just like the Terremoto. Notice how high up the tie rod is on our hi-steer! Jim wanted the new Baja Designs Lights and Factor 55 flat link on his build. The Jeep sits perfect on 40" MT/R's with Trail Ready wheels! Good view of how the rear cargo tray separates the rear cargo area to fit more gear. Here you can see the GenRight rear tire carrier and rear bumper with rash guards on it. Notice how clean the tail lights look when recessed into our corner guards! 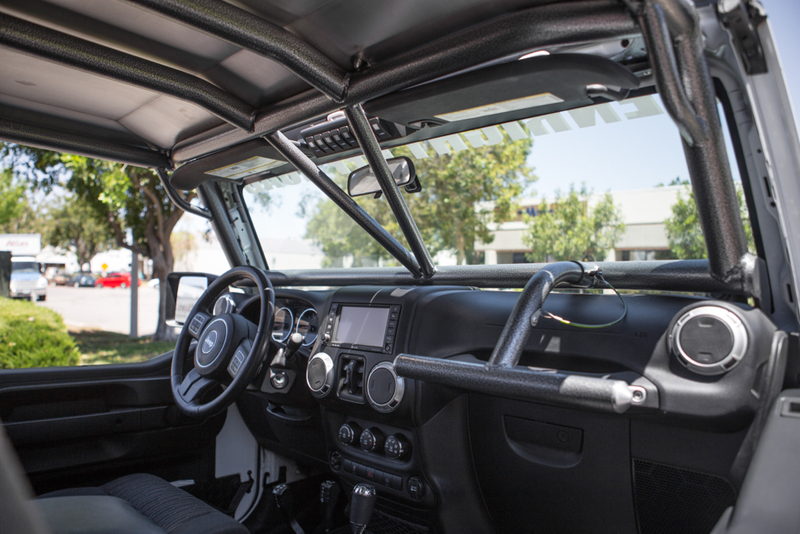 We added a custom grab handle to the roll cage for his passengers. 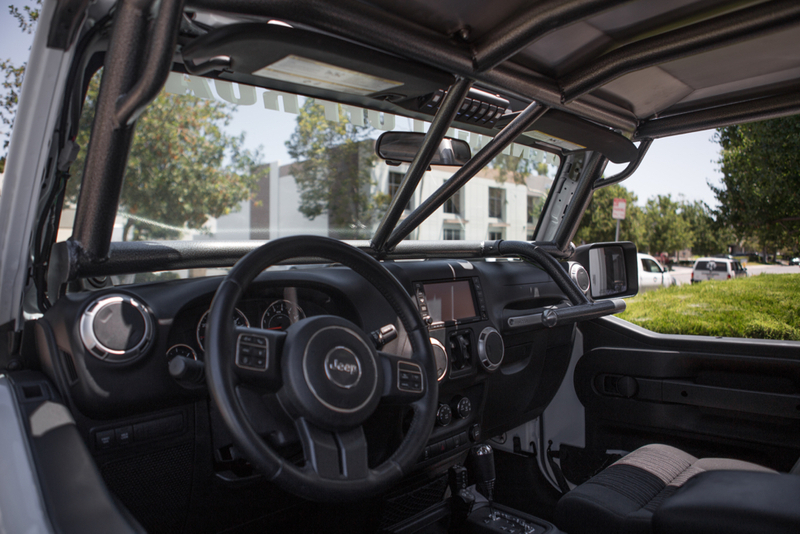 Here you can see how our cage dash bar sits just above the top of the dash. 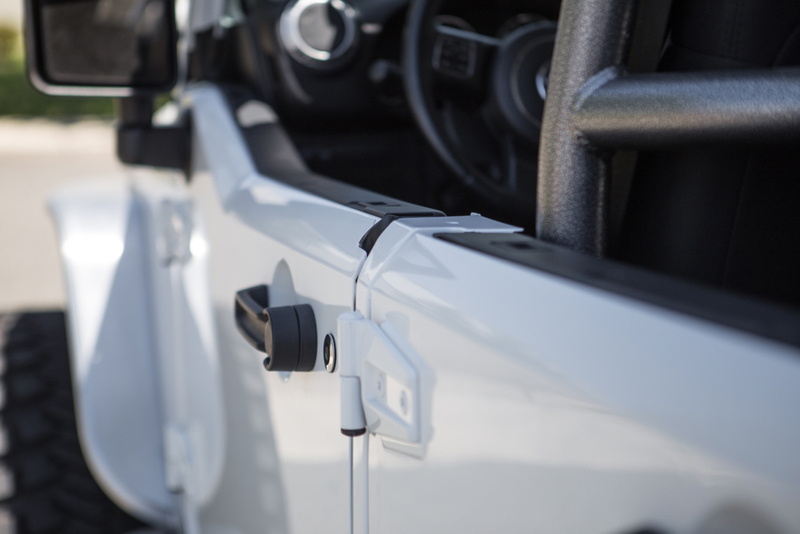 We installed factory half doors and added the GenRight B-pillar removal kit to avoid damage on the trails. 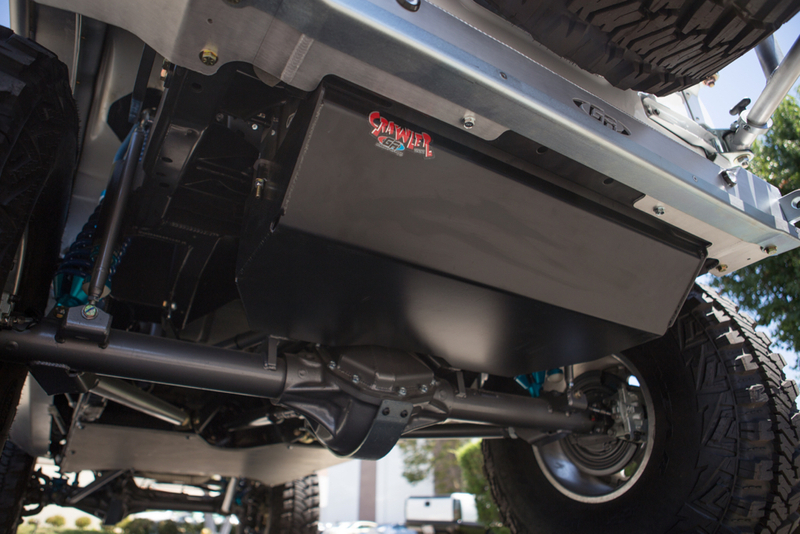 Here you can see our 33 gallon fuel tank and the Full Float 40 spline Currie Rock Jock 70 rear axle. 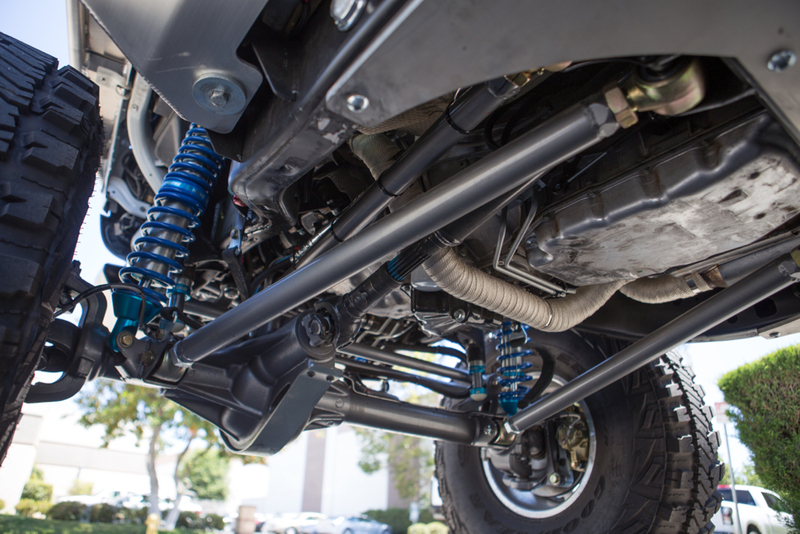 Here is a close up of the front 3 Link Suspension. You can see No brackets hang down below the axles on the GenRight suspension kits. 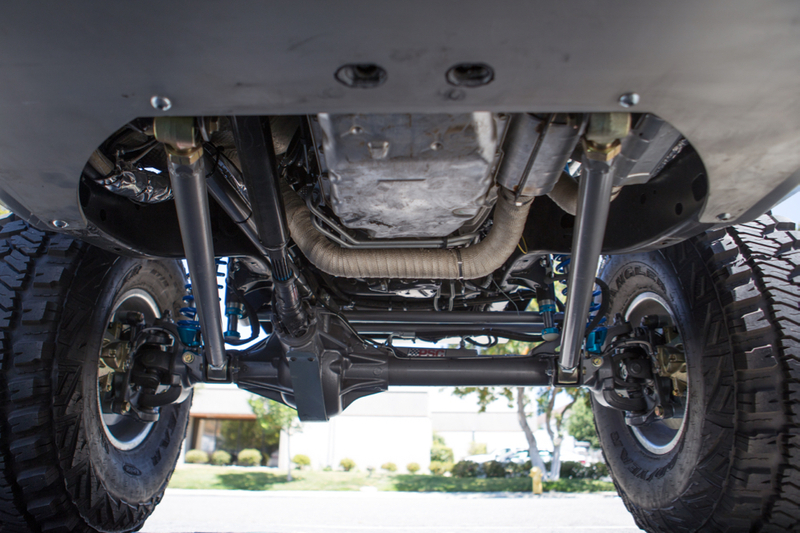 The GenRight rear 4 link suspension is double triangulated for optimal performance! 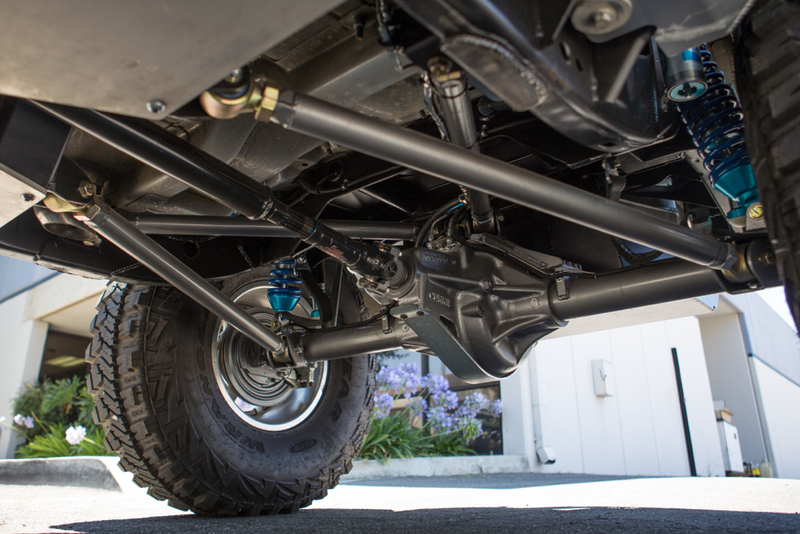 Here is another view of the rear 4 link suspension and high clearance, Hi-pinion Rock Jock 70 rear axle which keeps the rear driveshaft out of harms way! Another view of the front 3 Link suspension and Hi-pinion front axle. 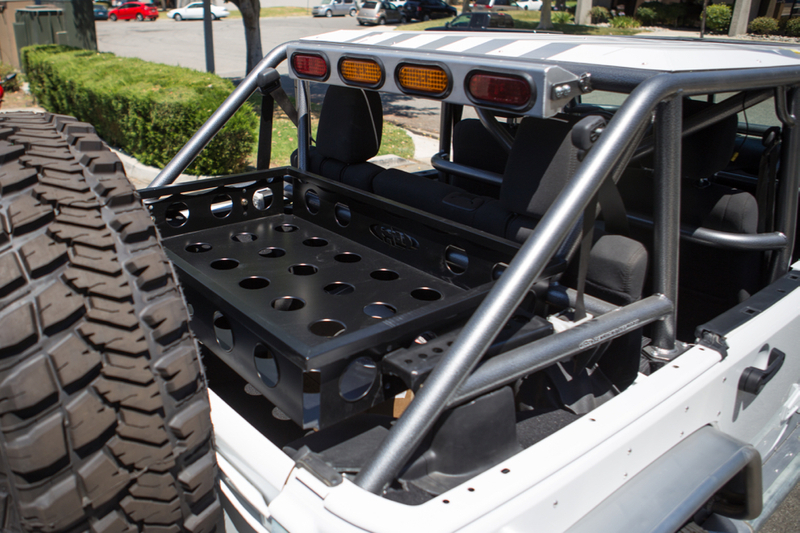 Here you can see the 1/8" thick aluminum roof on the GenRight roll cage and our rear cargo tray. Jim also added a off-road race style rear light bar.